We are a church plant of Covenant Baptist Church , Clarksville, TN, in conjunction with the Mid-America Reformed Baptist Association of Churches. As Reformed Baptists, we hold to the 1689 London Baptist Confession of Faith as our doctrinal standard. See our Distinctives section for more information. Operating under the oversight of Covenant Baptist Church, Nathan White is the church planting pastor. The core conviction behind this church plant is that we believe that the glory of God is best seen in worshipping congregations, and that the Great Commission is best fulfilled in the planting and establishing of local churches. Sunday morning sermons are available for download on our Sermons page. Jesus Christ is the only Head of the Church and our Chief Shepherd. He has ordained that local churches be led by elders (undersheperds) under His authority. Since CRBC is a church plant work overseen by Covenant Baptist Church, this work is led by the elders of that congregation. 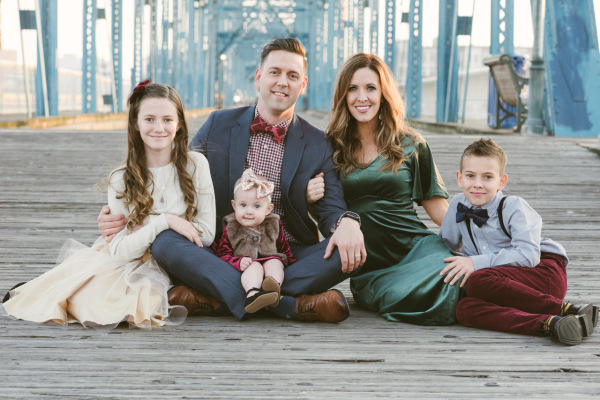 Pastor Nathan is the elder who has been specifically set apart by Covenant Baptist Church to devote himself full-time to the church plant in Lookout Mountain. ​Nathan holds a BS from Covenant College, and an M.Div from Westminster Seminary California and the Institute of Reformed Baptist Studies. Happily married to Courtney; together they have three young children.